On November 30, 2018, all versions of PHP code were updated worldwide, from 5.6 to the new version 7.2. Our site was written in version 5.6, so it has been automatically updated to this new version. After the forced update, we realized, unfortunately, the incompatibility of some items. As you can see, in your pilot profile 0 hours are flying. Do not worry, nothing has been lost, but unfortunately this update fails to read the tables containing the data of each individual driver. The biggest problem that caused this update? Unfortunately, after this update, even the IPS system (The automatic pirep that detects the flight of Ivao and Vatsim) does not work, in fact flying with CS MLN on IVAO or Vatsim you will notice that your flight will not appear among current flights. Do not worry, we are working to solve this problem. For now we kindly ask everyone to fly with the acars, in fact if you fly online without acars your hours will not be counted. As we all know, the acars are usually used to fly sections on the timetable. So you ask, how do I fly a route not on the timetable? No problem! just check the box on "charter flight" and then enter DEP and ARR ICAO. We apologize for the inconvenience, the staff is working to resolve this mistake at the most and apologizes for the problems caused to the pilots. What do you think of a Christmas tour? This year we will fly to Finland for a really exciting tour. We will visit the Finnish cities and we will also stop in Rovaniemi. The tour will be organized as follows. Each pilot leaves from Rome Fiumicino with stops and aircraft at the discretion up to Helsinky from where the tour will begin as listed. After the tour will return to Rome Fiumicino with stops and aircraft at the discretion. Hard temperatures and sudden snowfalls will be waiting for us. The tour will start on December 10th 2018 and will end on January 7th 2019. All participants will be awarded an award. For info on the routes visit the MLN Tours page on our website. With the stage of December we approach Italy to conclude this wonderful year with the destinations of the month. This time we will fly to Cologne, a 2000-year-old city overlooking the Rhine river. 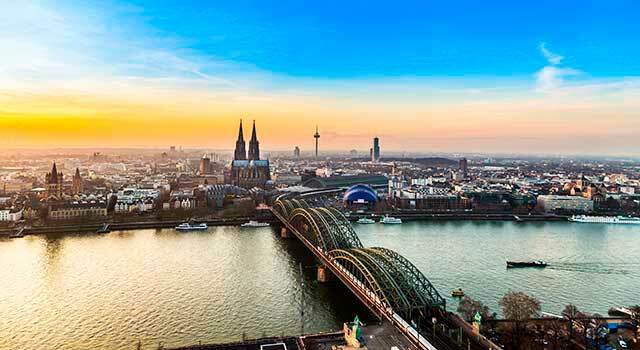 Cologne, with its one million inhabitants, is the fourth German city. <p style="line-height: 18px;">The staff of Milan Airways Virtual is happy to present an event that will take us to the magnificent city of Naples. <p style="line-height: 18px;">The flight, departing from LIMC - Milan Malpensa, provides a short-term flight crossing exclusively the Italian airspace. <p style="line-height: 18px;">The event has been specially designed so that all pilots, of every level and preparation, can face it serenely. <p style="line-height: 18px;">The flight, in fact, provides only the Italian language (English to be chosen by the pilot) and a medium knowledge of aeronautical maps. The latter, however, will be fully illustrated in the days prior to the event. <p style="line-height: 18px;">What else to tell you? We are doing it all. <p style="line-height: 18px;">Now it's your turn. <p style="line-height: 18px;">We look forward to your membership by booking the slots. <p style="line-height: 18px;">See you soon and good wind to all. This year, the MLN staff decided to fly to Transylvania - Romania. 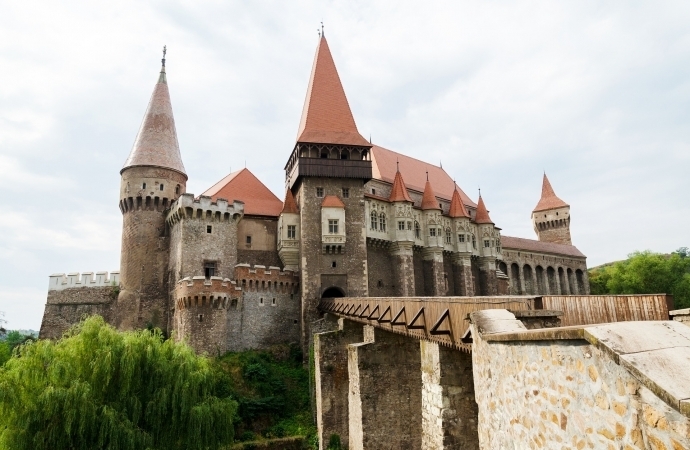 Transylvania has its fame on vampire stories. According to legend, the vampires, who in Romania are called Strigoi, would be all those individuals who in life would have abandoned the Orthodox faith to convert to Christianity. The effects of this mutation would be noted at death: the body of a Strigoi does not decay and during the night he comes out of his coffin in search of blood to feed on. In some remote villages in Romania this is assumed as a fact and still today the inhabitants protect themselves by cutting off their heads to suspected vampires or by relying on necromancy rites to protect themselves from the vampire's curse. Each pilot is free to choose an A / R destination departing from Milan Linate to Sibiu (LRSB) or from Rome Fiumicino to Bacau (LRBC). You can fly from 29 October 2018 to 04 November 2018. From today we inform you that netJet will start from Rome Fiumicino! We invite you to view the dedicated timetable and info on the exclusive gate areas. Lublin (in Polish Lublin) is a city of 348.567 inhabitants of eastern Poland. Capital of the Lublin Voivodeship, it overlooks the Bystrzyca River and is an archiepiscopal seat. Since 1918 it houses the Catholic University of Lublin. Its territory stretches on the plateau of Lublin, a region not only with an agricultural vocation in which cattle breeding is practiced, but also an important industrial center. And from Nbiza we fly to Nice. 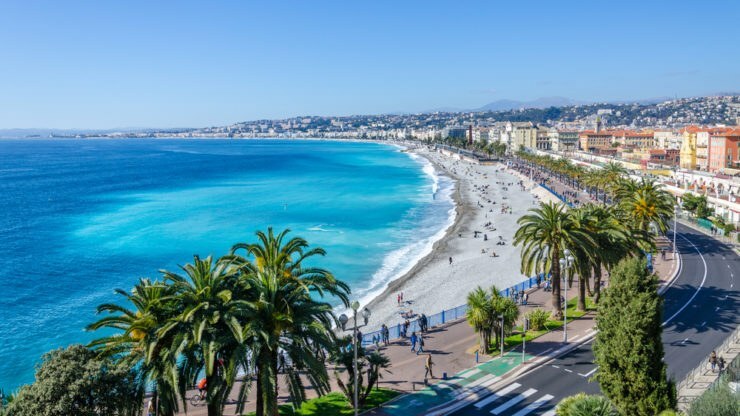 Nice, the capital of the Alpes-Maritimes department, lies on the pebble beaches of the Bay of Angels, on the French Riviera. The staff of Milan Airwys Virtual is pleased to invite you to the summer event that will take you from Milan Linate to Corfu (Greece). The event will close the summer season and therefore we invite you to participate. We therefore invite you to register for the event as soon as possible here. For the event, ATC coverage will be assured. All participants will be awarded. Hoping to be numerous and to make you welcome, we take this opportunity to wish you a happy summer 2018. Ibiza is one of the Balearic Islands, a Spanish archipelago in the Mediterranean Sea. It is famous for its vibrant nightlife in the cities of Ibiza and Sant Antoni, where the main European nightclubs move during the summer. It also hosts peaceful villages, yoga retreats and beaches, from Platja d'en Bossa, flanked by hotels, bars and shops, to sandy coves surrounded by pine forests that are found all along the coast. Milan Airways Virtual will fly you to one of the most beautiful islands in the Mediterranean. This stage will fly to Italy and exactly to Cagliari. University and archiepiscopal seat and city with a history of several thousand years, is the historical administrative center of the island having been, under the name of Caralis, capital of the province of Sardinia and Corsica during the Roman period and later the capital of the Kingdom of Sardinia, from 1324 to 1720 , and then from 1798 to 1814. Cagliari overlooks the center of the Golfo degli Angeli, on the southern coast of Sardinia. The city, which develops around the hill of the historic district of Castello, is bordered to the east by the Sella del Diavolo and the Molentargius pond, to the west by the Cagliari pond, to the south by the Tyrrhenian Sea and to the north by the San Michele hill and Campidano plain. It has in common with Rome, Lisbon, Prague and Istanbul the fact of having been built on seven limestone hills that identify as many urban districts: Castello, Tuvumannu / Tuvixeddu, Monte Claro, Monte Urpinu, Colle di Bonaria, Colle di San Michele, Calamosca / Sella of the Devil. To these must be added the lowest mountains of Montixeddu, Monte Mixi and Cuccuru 'e Serra. The staff wishes you lots of fun. The MLN staff is happy to invite you to participate in the MLN Pilot Career IFR Tour. These are three tours, each consisting of six routes, departing from Linate, Malpensa or Bergamo. On these tours you will simulate the career of a Milan Airways driver by flying 6 rounds in turn around (3 ito go 3 in return). For each completed tour an award will be awarded. Also this year, on the occasion of Easter, the staff of Milan Airways Virtual organized a surprise for you. Choose an airport in Milan at your discretion for departure and fly to Helsinki or Copenhagen or Warsaw from 27 March to 3 April 2018. If you only make one leg, you will be entitled to the award with 1 star. If you take two legs you will be entitled to the award with 2 stars. If you fly all the routes you will be entitled to the award with three stars. We wish you happy Easter and good wind. Dear Pilots, the destination of the month of April 2018 will be Antalya. Antalya is a tourist city of Turkey, with an old port crowded with yachts and beaches lined with large hotels. It is the gateway to the Mediterranean area of ? ?Turkey, which lies to the south and is known as the Turquoise Coast, for its crystal clear waters. Some ruins bear witness to the era in which Antalya was one of the main Roman ports. Among these is the Hadrian's Gate, built in honor of the emperor who visited the city in 130 AD, and the tower of Hidirlik, which dates back to the 2nd century and offers a view of the port. Antalya Airport is an airport that serves the city of Antalya and is located 13 kilometers (8.1 miles) northeast of the city center, in Turkey. The airport, of recent construction, has been built to accommodate the millions of passengers arriving at the beaches of Turkey in the summer season. It has managed almost 19 million passengers in 2008, 16 million of which are international. The airport has two international terminals and a terminal reserved for internal flights. Based on the projection of peak months data (for example, August 2009), it currently has a capacity to accommodate up to 35 million passengers / year. Dear pilots, the destination of the month of March is Skopje. Skopje is the capital and the most populous city in the Republic of Macedonia, with 506.926 inhabitants. The City of Skopje constitutes a special administrative area in the state, the Great Skopje, consisting of ten municipalities. With more than a quarter of the country's population, it is the political, cultural, economic and academic center of the nation. Skopje-Alexander the Great Airport (IATA: SKP, ICAO: LWSK) (Aerodrom Skopje Aleksandar Veliki) is the largest international airport in Macedonia. It is located 17 km south-east of the capital Skopje. The main lines of the airport are Wizz Air and Turkish Airlines. In September 1918 in Skopje there was the flight field of the 1st Section of the 73rd Squadron of the Royal Italian Army Corps for the expedition in Macedonia until August 1919. In 2012 the structure was awarded the Best Small Airport award for the European area: the award is assigned annually by the Airport Council International. The Villani Carnival 2018 in Lisbon is the forerunner of the world-famous Rio de Janerio carnival, better known as the Villani Carnival. For five days, a thousand lights and colors will enliven the streets and neighborhoods of the city, which will be the stage for parades, bizarre wagons. There will be concerts, exhibitions and above all an immense crowd of people in the streets and squares, disguised and ready to taste the typical specialties of the carnival. Therefore, the Milan Airways Virtual company will fly from Malpensa / Linate / Bergamo to Lisbon round trip from 08/02 to 13/02 with passenger aircraft. An award is foreseen for the participants. What are you waiting for? Fly with us !! New destination of the Month are inserted. In February we will fly to Bratislava (LZIB). We wait for you!! With the start of the month, a new Destination of the Month are inserted, Bergen (ENBR). So, what are you waiting for? Fly to Bergen, to complete the 2nd destination of this tour! for the San Martino Holidays, which is particulary celebrated in those cities. Is expected an award for each flight (so you will receve 3 award if you fly all the 3 flights). schironi”, from Bergamo (LIME) to Cagliari (LIEE). Is an event of Netjet, so you have to fly with the NetJet's Fleet. Here we are, with the most important event of Milan Airways: our Meeting! This year, we have an important news for the pilots who are outside of Milan. The days of the meeting are 18 and 19 of November; and this mean that the the meeting is composed by 2 full days, and not 1, like one year ago! HOPE TO SEE YOU IN MILAN! On September 14 from 19 UTC, there will be a meeting in the Teamspeak channel, where we will discuss staff dynamics, new events, tours and future meetings. We are waiting for you! Today we are pleased to announce to the pilots that the site has returned fully operational, the images are now all again online, such as awards and banners, we also took the opportunity to do maintenance! Since two weeks ago our image hosting service decided to change terms and conditions of usage therefore we are working to restore our website soon! We confirm it's all operative. We apologyze for the incovenience. 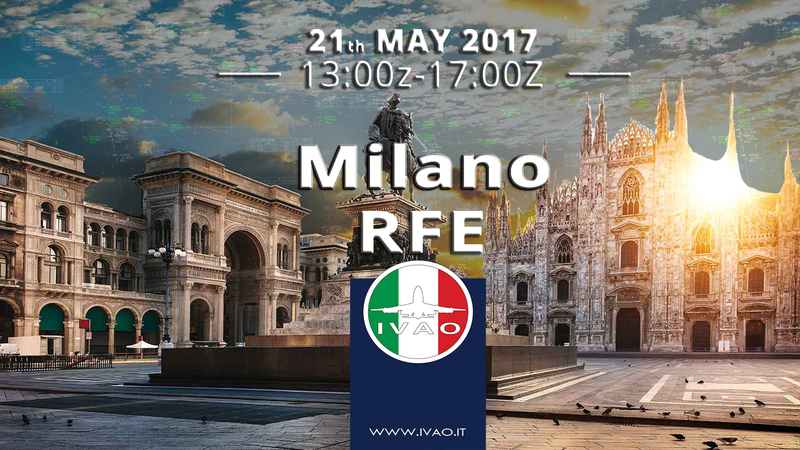 Fly today afternoon at Milano RFE Event on IVAO from 13.00 UTC and win the special Milan Airways award! An important event for our VA and Milano VACC. Per la Pasqua 2017, la tua MLN ti propone un volo speciale andata/ritorno tra Roma Fiumicino e Tarbes-Lourdes (LIRF<>LFBT) - Vola con noi dal 13 al 17 aprile e beccati l'award speciale! Dal 20 al 26 marzo beccati l'award speciale "Trattati di Roma" volando dai nostri hub (LIMC,LIME e/o LIML) per Roma (LIRA e/o LIRF) - Dovrai effettuare una rotazione tra Milano e Roma per ottenere l'award! Venerdi 17 marzo 2017 vola da LIMC x EIDW o da LIME x EINN o da LIML x EICK per festeggiare la il St Patrick's Day e beccati l'award speciale! Happy New Year! Fly to Copenhagen from Amsterdam! Enjoy your flight! Hi, you have just receive the MLN Newsletter December 2016 but only in italian, sorry! <p style="line-height: 18px;">I tuoi comenti sono i benvenuti! Cerchiamo sempre di migliorare! Fly on Â October 31st - Choose your flight - Special Award Halloween for you! Have a nice flight! November take-off from Nantes LFRS and landing to Cagliari LIEE - Have a nice flight! Buona domenica piloti MLN, lo staff vi invita a rispondere al sondaggio affinchÃ¨ di conoscervi meglio, di sapere cosa aspettate dalla nostra VA per milgiorarla nel futuro! Vi ringraziamo della vostra participazione! Il sondaggio Ã¨ attivo fino al 31 ottobre 2016! - Pochissimo attivo! Serve o non serve? That is the question! Ecco scusate se ho dimenticato qualcosa..., ringrazio tutte le persone presenti ieri sera, 15 in totale, fa molto piacere, ora mi auguro di vedervi di nuovo ad un prossimo evento! Come detto ieri si parla di noi, si parla della milan airways virtual, facciamo ancora di piÃ¹ parlare di noi! Direi che oggi siamo in face di salita, domani dobbiamo essere in fase di crociera! The MLN has been invited to participate in an event organized by Belux VACC, all the details by clicking the links! From October fly to France, Nantes LFRS from the last destination Dubrovnik LDDU - Have a nice flight! From 15 September 2016 to 5 October 2016, the runway 35L at Malpensa LIMC will be closed for work on the mantle resulting measures. -Runway 35L closed for ongoing work from F to GW siding and adjacent siding. -35L ILS and DME inactive. -35L takeoff permission from F/FE for airplanes up to category C with TORA 2500M. <p style="line-height: 18px;">Three possibilities to vote! I immediately accepted the invitation because I think it's very good to receive proposals from the Italian division of IVAO, I consider our participation in this event! Booking your flight now! Generally the month of September is always nice, a great month to finish the holiday, fly from Linate or Malpensa to Croatia, go to Dubrovnik! Click here for information! After the summer break, with today, the Staff is finally operational again! If you need supportÂ please contact us. Many other funny Milan Airways events coming in September organized by our Event Cordinator MLN208 StÃ©phan B. and others of VATITA, IVAO Italia and Aeolus Alliance! Sun only sun for August, fly from Linate or Malpensa to Greece, fly to Mykonos! All details to win our special award! Staff announces that from today, the Training Academy of Milan Airways is partner of the Flying School of the Italian division of VATSIM VATITA (VATITA VFTO. We decided to make this collaboration to improve even more the online professionalism of our pilots and give them a support; below are lists the courses that the school provides. Course for those who want to start the virtual pilot career as a real pilots, registration to VFR P1 Course, achieve the 3 ratings until the P3 qualification equivalent to the actual PPLÂ patent. Subsequently subcribe to IFR P4 Course to discover the beauty of learning to fly anywhere in the globe by real professionals of the simulated flight. I am pleased to present the official video 2016 netJet, enjoy! Sun more sun! Are you ready? Fly to Izmir, Turkey during June from Milano Malpensa or Milano Linate! On 21/05/2016 Milan Airways pilots met at a meeting in Verona at the Model Expo Italy 2016. It 'was a beautiful day where we visited the fair and then we spent the day in the stands of IVAO Italy and VATITA (VATSIM Italy). We remind those who could not go to the fair, will perform flights to/from Verona on both networks up to 16 UTC of this evening. Thanks to all! See you at the next meeting. Two events before the summer break, the first is "DEU SEU SARDU" in collaboration with IVAO Italy, event 100% Italian from Milan Malpensa and Cagliari - Voting is open http://www.milanairwaysforum.com/t66-deu -seu-sardu, vote now! Today is available for download the aircrafts with special liveries dedicated to the European Football France Euro2016. The liveries are available on the A319 and B738 both Milan Airways and NetJet. Hi guys, on May, Tuesday 24, fly with us from LIML to LIPR for our event "AMARCORD" in honor to Federico Fellini, slot are open, please book your flight now! Milan Airways Virtual is proud to present the program SUMMER 2016 valid from 8 June to 31 August 2016, 9 destinations for you, Linate and Malpensa, passengers or cargo and special awards for you, 1, 2 or 3 stars! All information: http://takeoffitalia.weebly.com/estate-2016.html, and if you have a question to ask, a doubt, we are at your disposal on TS3. Have fun and Happy Summer 2016 with us! Milan Airways Virtual, official partner of the '' 2016 UEFA Champions League - Final Milano 2016 "offers from 23 to 30 May to fly from Linate and / or Malpensa to Madrid and from Madrid to Linate and / or Malpensa, bring the Spanish fans or Italian fans from Spain at the San Siro stadium, the temple of football, special award for you! Late May let's goooooooooo to Rimini not to swim but to pay homage to the famous Italian film director Federico Fellini, the poll for the choice of the date is open on our forum. All together LIML to LIPR! Today are available in Milan Airways livery the Boeing 737-300 by IXEG (cargo fleet page) and the Boeing 757-200 by Flight Factor (NetJet fleet), both for Xplane. The fleet Milan Airways of Xplane is expanding! A big thanks to our friend and pilot MLN294 Francesco Bova. Milan Airways Virtual proposes to you a new tour, the Sud America Tour, are you ready so let's goooooooooooo and win the award! Hi guys, wins with 71%, May, tuesday 10th for our event "Toi et Moi - Te e Me" with the french VA "Arcade Air Provence", slot are open, more details in future! From 1st to 31 May the MLN invites you to discover the Austrian capital, Vienna, from LIML o LIMC, good flight! Please vote for the next event on IVAO with the participation of french VA "Arcade Air Provence"
Thursday 14 April at 21 hours will be with us on TS3, Cyril, Event Coordinator of the VA Arcade Air Provence with which I am organizing an event on IVAO early May. You are all welcome for a chat! Transport your passengers or your freight goods from Milan Linate and Malpensa to Luxembourg Findel (ELLX), the Grand Duchy of Luxembourg will amaze you with its natural beauty! 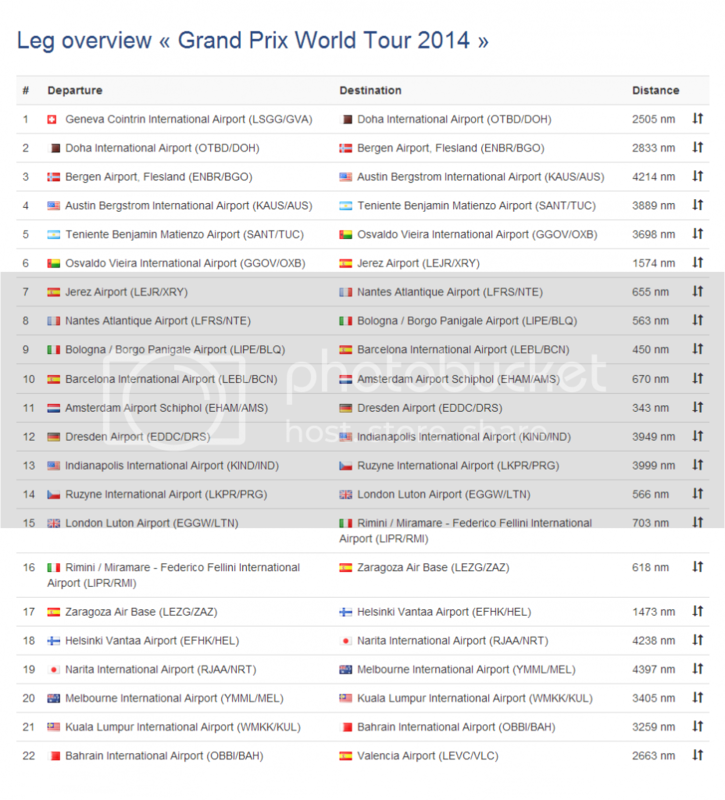 More information on our forum, good flight! Welcome to the MLN's Russia IFR Tour who starts from Rostov and arrives in Vladivostok, runs through the Russian territory from west to east, across the Trans-Siberian letting us know the Russian territories unexplored! The tour consists of 29 legs, are you ready? Eggs - Hens and Rabbits for everyone - Happy Easter and Easter Monday! The Milan Airways Virtual offers you to go hunting tomorrow Holy Thursday until Easter Monday! In the MLN Forum you have the opportunity to vote to partecipate in our next event "CARGO EVENT"
Come on with us and enjoy your flight! The staff of Milan Airways Virtual wish you a happy spring! Like every year Ireland is celebrating the patron Saint Patrick March 17, we aim to fly from Linate and Malpensa for three destinations: Dublin, Shannon or Corck (EIDW-EICK-EINN) from 14 to 20 March! A special award will be assigned, enjoy your flight! March, the month of spring no? We offer you to discover one of the most beautiful capitals of Europe, fly from Milan Linate and / or Milan Malpensa to Prague VÃ¡clav Havel!Â Since 1992, the extensive historic centre of Prague has been included in the UNESCO list of World Heritage Sites. In the MLN Forum you have the opportunity to vote to partecipate in our next event "Lo Shuttle MXP<>FCO"
Tuesday, March 8 brings mimosa symbol of Women's Day to all italians airports! Today we Announce the new Event Coordinator Milan Airways. Is MLN208 StÃ©phan Blondel, our pilot and a great friend, from Lake Geneva (Thonon Les Bains), but a great Italian by adoption, attended the last meeting in November Linate and feels load to create new events to make us have fun together! Good luck StÃ¨phan! Welcome to this first Milan Airways event of the 2016 on IVAO. A company event created by Take Off Italia in order to specifically to know each other and to have fun together in company of other pilots or of VA's of AEOLUS Alliance and others. Event full staffed in collaboration with IVAO Italy (Fir of Milan) and IVAO France that will ensure us ATC coverage during flight. This time we have choosen the Milan Linate-Paris route to connect the two fashion capitals of Europe during the period of the Fashion Weeks. To Milan from 24/02 to 01/03 and one in Paris from 01/03 to 9/03. 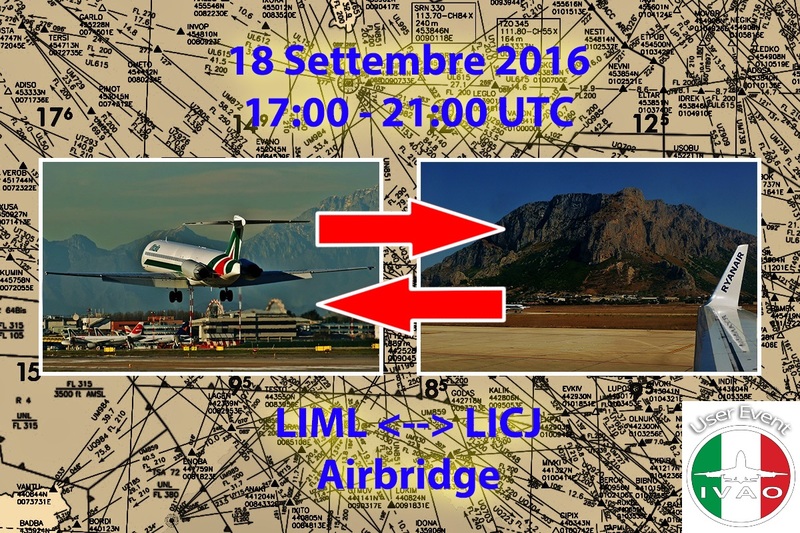 The event foresees, from Milan Linate (LIML) at 21 am local time for a flight to Paris Charles De Gaulle (LFPG). We await you online and in our Channel Teamspeak 3 that will be set up with a special room for the event! We provide asap a short-flight briefing with CO Route Aerosoft and PMDG. We are pleased to announce that in collaboration with IVAO IVAO FR and IT are creating an event called "WHEN FASHION MEETS" on the occasion of an event that characterizes the cities of Milan and Paris: "The Fashion Week." The dates we have are March 1, 2016 and March 8, 2016. The management of the two divisions have asked us for a minimum of 10 drivers are taking part in this event, which is why you opened a poll to allow everyone to communicate their availability so as to reach at least the minimum number. 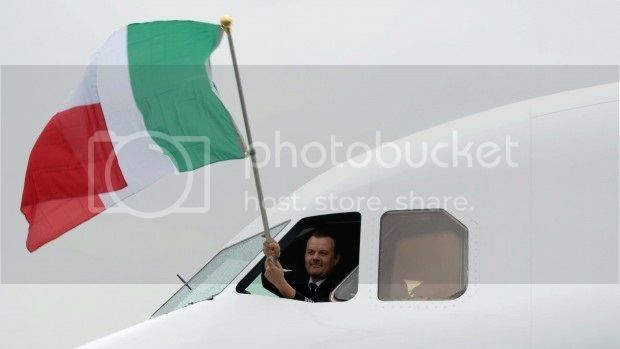 The invitation is open Milan Airways pilots and provides for a flight from Milan Linate to Paris Charles de Gaulle held the evening of one of the two days indicated above. Who participates in the event will be given an award on your rider profile. Today we connected the site Airways Milan forum to our website, if you have not already done so you have to register. The forum will have many new features like the ability to chat live with other connected users or to send private messages through email, many new and more interaction for a more direct. Today we released a new tour in collaboration with Take Off Italia, the MLN Africa IFR Tour, from Milan and covers all the important cities of 'Africa from north to south, from east to west for a total of 21 stages! Do you feel ready? Today we announce the availability of the A320 JARDesign for Xplane. 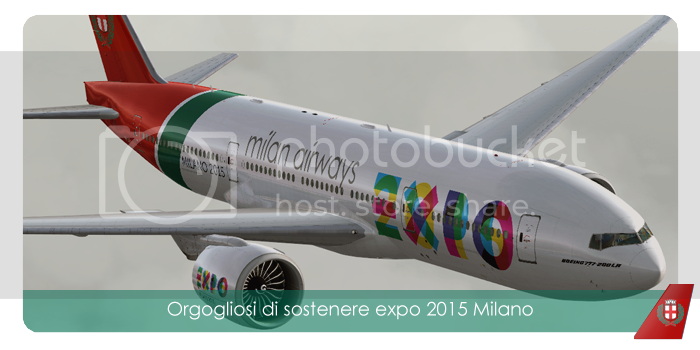 Now even users Xplane will fly in the colors of Milan Airways! A big thanks to our friend and pilot MLN294 Francesco Bova. With the Christmas holidays and the end of the year 2016, email support and it was suspended. Today Thursday, January 7, the support is active again! Today we have released the livery of Â the A340-300 of BlackBox Simulations. The plane has I-MLMN registration. Have fun! On Saturday, October 17, 2015, was inaugurated the flight school of Milan Airways with the first course organized with the participation of 3 pilots The school has several courses, where there are reference trainers, if you need information or need to register, just contact the flight school. All new details can be found on the Staff Team page. If you need information about, please contact us. Today after the summer break, the Staff is available for direct support to users; please contact us, if you have already done, we will respond as soon as possible! We are pleased to announce that Milan Airways became an "Aerolus Alliance" member, a sort of virtual SkyTeam or Star Alliance. 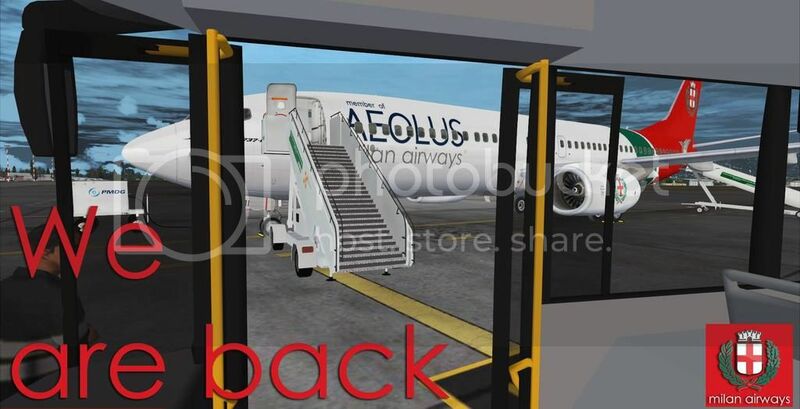 This entry in the alliance, brings great benefits, such as support and teamwork with other Virtual Airlines. A great goal we always places, trying to demonstrate professionalism and spirit of innovation. With this alliance, there is possibility of codeshare flights, our flights, will appear on their site, as VA member. Also there is our profile on their website, visit alliance website by clicking on the image. From 1 July 2015 some pilots have reported connection problems you book flights from the timetable and loading them directly into 'ACARS. We 'a bug caused by the connection between ACARS and site, we are trying to solve it, but there is possibility to schedule the same flagging "Charter Flight", but bringing all that data of the scheduled flight. This is only the fastest solution at now to fly offline, we are contacting our website designer to receive support. If you have another questions feel free to contact us. On 07/02/2015, is officially opened the Twich company channel, where those who authorized, will transmit live their flight, making it visible on our site! Flight experience even more realistic addition to the many already! Featured destination of the month: Reykjavik, capital city of Iceland, with its enchanted lands this island reaches its peak in the summer! We are happy to announce our first App Partner, Flight GPS 24 is an application for the Android platform already available on the Google Play Store, that allows you to see the general aviation flights all over the world;also the owner of a flight licence has the possibility to transmit the VFR / VDS flight live in real time! The dates 05/29/15 and 06/06/15, 6 of our pilots met in the simulator of Boeing 737NG of Bergamo, experiencing a unique simulation and fun together! Participating as a Virtual Airline, we had a chance to have great discounts. We are organizing other dates, for more information, please contact us by email or by logging in the TeamSpeak Channel. We have chosen Santorini as the destination of the month for June, one of the most beautiful Greek islands, crystal clear sea and characterized by houses from the colors white and blue, a fabulous atmosphere in the full colors of the Mediterranean sea. Destination reached by neJet! We announce a new partnership with the website of reviews, news and VA's from the world of flight simulation FlightSimulated.com, they will add our most important news on their site, keeping informed other users. We communicate that are available from this afternoon our Boeing 737-700NG (I-MLME) and 737-800NG (I-MLMB) Winglets of iFly, only versions for users of FS2004. 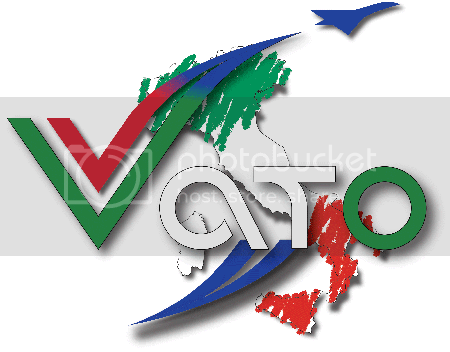 On 05/24/15 the event cordinator and the Staff, have scheduled an event Milan Airways in conjunction with the event of IVAO Italy "Italy full Staff" so as to enjoy an excellent ATC coverage, visit our Facebook page for more information about the event. We await you numerous! Today our VA reaches 100 Pilots! a very important milestone. From January 2014 to today, with an average of 51 active pilots, and 2,395 hours flown 840000 miles flown, we can just give to our pilots a big thanks for the spirit and enthusiasm demonstrated every day towards this airline. We are pleased and proud to announce a new Partner: FS2Crew, a great company of addons for Flight Simulator. Our pilots will have the chance to have a discount price of 30% on their fantastic products. We tell to the pilots that the fleet is now complete, today will also be added to the Boeing 737-800NG NetJet. A strategic decision as it will be adopted for flight charter or low cost flights to holiday destinations as a result of its high density of seats. On March 13, 2015 Milan Airways announces new partnership with Virtual Pisa for the organization of events on IVAO from/to LIRP. The Staff communicate that the Regional fleet is now operative, with the new Dash 8 Q400 and Avro RJ's, we are working on the A318s. By today, the fleet Cargo counts among the wide range of the newest B767-300F erei also available for long and medium range for short range mythical B737-300SF converted cargo planes. Liveries are available on the page or in the cargo fleet page download in Briefing Room. Today we have made available for download the livery of our Boeing 737-800 FS2004 I-MLNZ, you can download it in the download section of the briefing room, or in the fleet page. Today were have released for the download the 3 Boieng Airways 777-300ER PMDG of Milan Airways! They are available at the download in the page. Recall that these will be added to the fleet of 777-200LR and 200F PMDG and Posky. <p style="line-height: 18px;">I-MLNI "Expo 2015 Milano"
<p style="line-height: 18px;">I-MLNR "Spirit of Milano"
The Staff announces the introduction of three other tour Milan Airways, a tour VFR of the Caribbean Islands and others two IFR; one Australian and one always to the Caribbean. With today there is more choice, trying to increase the fun and experience of simulation! 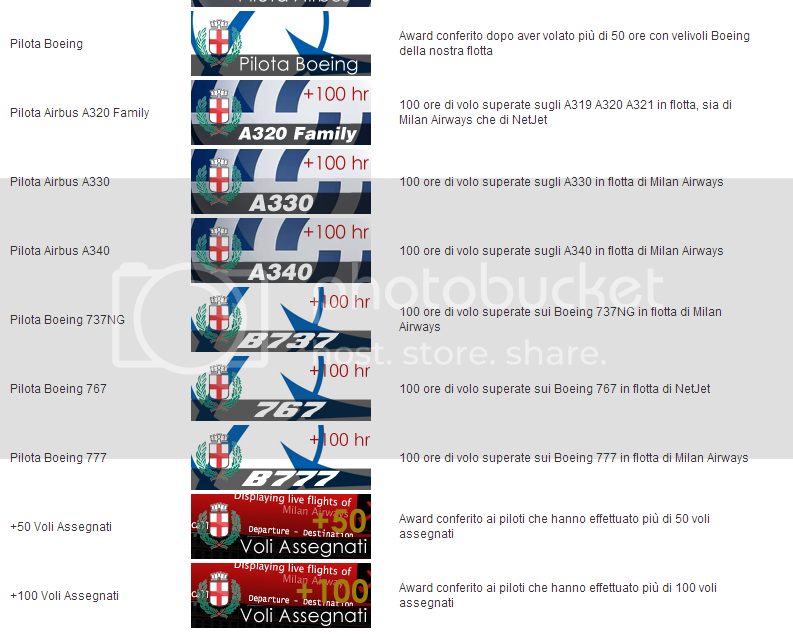 Milan Airways Virtual, as virtual airline in Milan, decided to create special liveries for the EXPO2015, the livery of the first two aircrafts (PMDG 738 and 77L) are already available for Download in the relevant page of the Briefing Room, if you want to see the previews go on the page Facebook and Instagram of the VA.
We Announce that are now operative two other Tours! MLN IFR Wolrd Tour el 'MLN North America IFR Tour, two tours exciting and adventurous, touching airports around the world, putting a strain on your skills! Are you ready to 'adventure? We remember that for these tours its necessary entry in the tour page and subscribe the tour. We have created the first Tour of the new website, the Milan Airways Italia Tour VFR,A VFR Tour organized by the Staff of Milan Airways, which will touch some of the most beautiful Italian cities. A tour inspired by gatherings of AeroClub Italian for heaven 's Italy. A tour for lovers of beautiful landscape and VFR! We refer to the pilots, that today, we have been uploaded all the charts of the IVAO VATSIM networks, to fly online and offline. The maps are available for download in the download page after you have logged into the site. - Milan Airways (Linate) Milan Airways flights from Milan Linate Airport, the hub of the city. - Milan Airways (Malpensa) Flights from National, International and Intercontinental Airways from Milan Malpensa. -Â Cargo Milan Airways (Malpensa) Cargo flights to Milan Airlines that create a network of connections in the major cargo destinations worldwide. - NetJet (Malpensa) Flights from Milan Airways carried out by our lowcost company, holiday destinations! Today, the fleet of the virtual airline has been made available for download. You can download it by clicking on the page of each aircraft in the fleet page and going in the "Downloads Liveries" table, or after logging in, go to the download page in the menu Pilots center. We are pleased to announce that the Staff, said the awards in 'special page of the pilot center section in the main menu. The awards will be assigned manually by management and the novelty is that there will be auto-awards, awards that are scored automatically by the system to overcome a goal to be part of the pilot. NB: cargo flights do not have a departure time can be flown at any time on the days indicated, respecting flight number and aircraft. Happy to announce our Staff has completed the first Timetable of Milan Airways. The Timetable of the Milan Linate Airport, our hub, mainly used to connect the country, consists of 225 flights, of which as many as 36 flights dedicated to the route Linate-Rome FCO!